MONDAY, JANUARY 28, 2019 – 7:00 P.M. The West Hollywood Preservation Alliance finds it very exciting to have the HPC finish what the Cultural Heritage Advisory Board recommended lo, many decades past, in designating the Formosa Cafe a local cultural resource. WHPA would like to give a shout out to historian Stacy Failing, who befriended the owners and persuaded them to save former owner Jimmy Bernstein’s and subsequent owners’ many head-shots of celebrities who dined there over the years. Because of Stacy, we have the original menus, many intact furnishings, even the Chinese lanterns over the banquettes, all save one that virtually disintegrated when taken down. 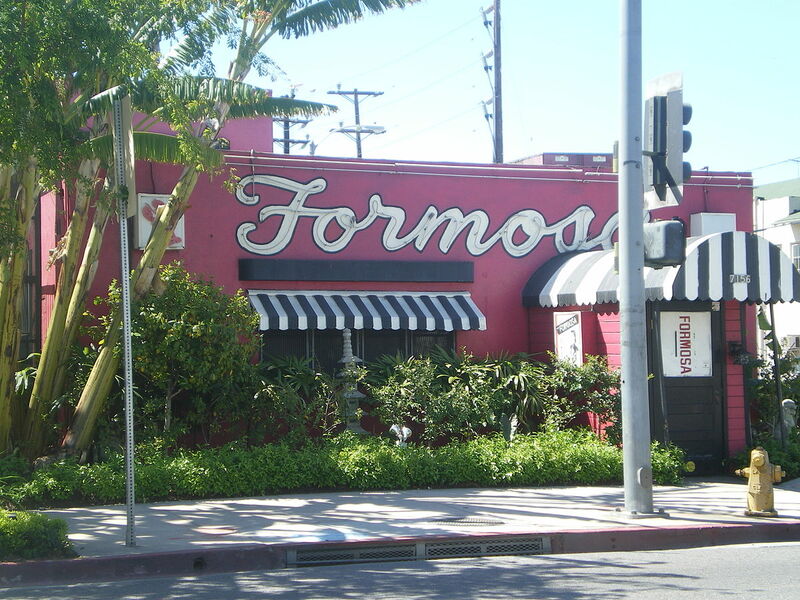 We applaud the 1933 Group, operators that will continue the legacy of the Formosa Cafe, the LA Conservancy and National Trust for Historic Preservation for including the Formosa in its landmark funding contest, and thank Jennifer Alkire and Mike Peterson for their excellent Formosa Cafe research. WHPA believes the Formosa may be also historic on both a state and national level and we are additionally encouraged to see the HPC put forth the request for a city nomination and hope more will follow in the near future.